Okay, okay: I'll admit it. I've been kicked out of my bed by my own dog! As much as we know our big dogs would love to share our big beds every night, they need their own nice, warm comfortable bed. Not everyone can get a good night of sleep when they're pushed out of their own bed by their four-legged friend! 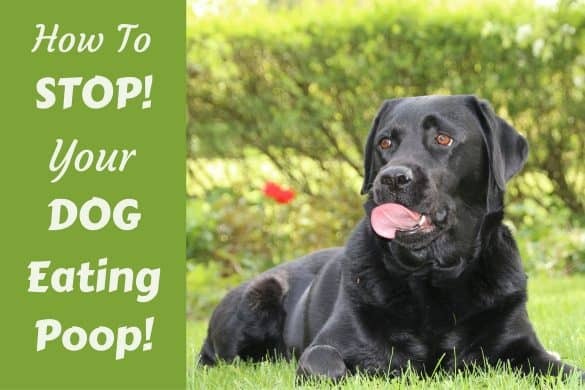 Finding the BEST Dog Beds for Large Dogs and for Labs is no easy task because large dogs tend to have a more specific set of requirements than their smaller canine counterparts. Not only do they love curling up and relaxing in a comfortable place, but a bed must sufficiently cushion and support their heavier joints and bones from hard floors to prevent sores and calluses caused by the dog's size. There is a huge variety of dog beds available, many of which offer different features and benefits so it’s worth doing your research to find the perfect one. 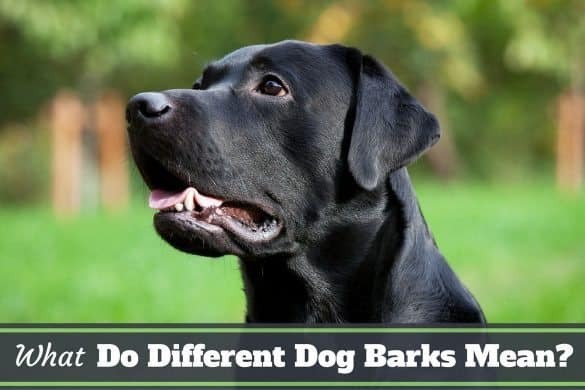 To help you during the selection process, we discuss in this article what you should look for in a bed, and have reviewed six of the best beds for labs and large breeds. So all you need to do is decide which you prefer most for you and your pooch. Size: So your large dog can comfortably fit on the bed. 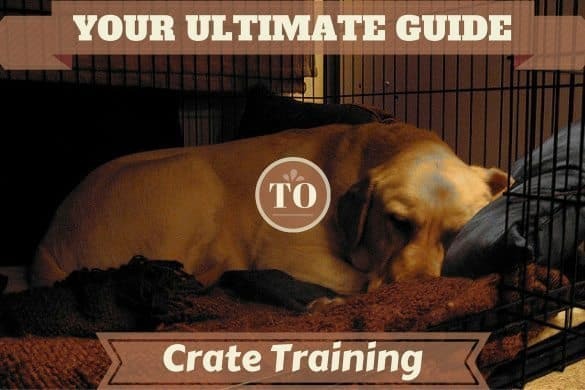 You also may want to consider if it will fit in their crate. Durability: Labs are big and boisterous so a bed must be able to withstand some wear and tear. There's no such thing as an indestructible dog bed, but you want to get close! Convenience: You want the cover to be easily removable for washing and drying, to keep the bedding clean and hygienic. Once you’ve found some beds that tick these three boxes, you can start to look at the extras they offer to see if they fulfill yours and your dog’s specific requirements. For instance, if your dog has arthritis you may wish to look only at beds offering orthopedic support rather than a very soft bed. Or if your dog loves curling up and nesting, make sure to look for a bed with walls or a bolster. Reading reviews is great to give you an idea of a bed's quality, but remember your focus should always be on your dog as an individual: What suits one dog will not necessarily suit another! A higher price tag doesn’t always equal higher quality OR the most suitable choice. The following seven beds are what we consider to be the best on the market for the majority of Labs or large dogs. Each dog bed review below highlights the bed’s individual quirks and qualities so you’re able to make an informed buying decision on which will best suit your individual dog. This latest addition to the roundup has been added because this bed has come up recommended by many readers of the blog and on our Facebook group, as the best bed for large breeds - full stop. The praise this bed has received for it's features, benefits and overall quality is hard to ignore, and coming with a 10-year guarantee means it's pretty much a bed for life. And being an orthopedic bed, it's perfect for aging and elderly dogs, particularly labradors who suffer more than most breeds with joint problems later in life. This is a bed of the highest quality, with 7" thickness of expensive, top-quality memory foam used in each mattress, guaranteed to hold it's shape and be firm enough to support a large dog, but with enough give to be incredibly comfortable and offer comfortable support. It has an easy to remove cover that's fully machine washable. It comes in 3 sizes and colors and you're sure to love it's looks as much as your dog loves the comfort it offers. It's also made in the USA, so comes with a quality control that's second to none. The only issue is this is the most expensive bed in our roundup. However, considering the quality and 10-year guarantee, it will be the only bed you'll have to buy throughout your dog's life, so compared to some cheaper beds you may have to replace every 3 or 4 years, it actually works out economical in the long run. We cannot recommend this bed strongly enough! Very reasonably priced, Armarkat’s pet bed offers all your basic necessities (durability, size and convenience) while being aesthetically pleasing and comfortable for your large dog. As it doesn’t offer orthopedic support, this bed would be better suited to a young and healthy dog. It also has a non-skid base which is a great idea for playful pups who’d otherwise send their beds flying across the floor. As Armarkat is part of Aeromark Pet Product Company (known for their industry recognized products), you can be sure of the manufacturing quality of this pet bed. In terms of durability, although the cover has a beautifully soft plush fabric for your dog’s comfort, it's made of a heavy-duty and waterproof canvas that will easily be able to withstand a boisterous dog. convenient to remove and wash when the bed gets too dirty. This is one of the pricier of our six picks but it offers a huge amount of value for the money. 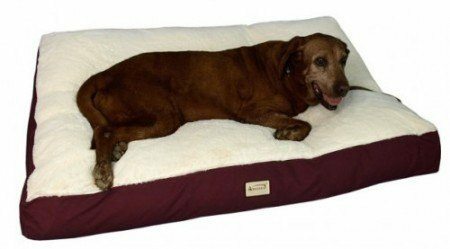 5 inches thick and stuffed with memory foam, this bed is incredibly supportive and so is just the tonic for older dogs suffering arthritic pains and/or bone and joint problems. Showcasing a bolster and luxuriously soft faux fur cover, you can be sure your dog will be comfortable resting and sleeping on this bed. It’s also very big with an anti-skid base which is great news for large and boisterous dogs who normally have their beds skidding across your wooden floors! So it’s certainly easy to wash once it gets dirty. The fabric is clearly of high quality and the stitching looks to be strongly reinforced so you can be sure of its durability. It’s also one of the more aesthetically pleasing dog beds we’ve seen which should fit in well with your interior design and decoration. This bed is a fantastic buy for any dogs who are particularly large or who suffer from arthritis, hip dysplasia or other joint issues because in addition to its durability, size and convenience, it also offers a high degree of orthopedic support. As an added feature, it's also hypoallergenic. The high quality of the bed is evident at first glance of the fabric and stitching. The internal zipped cover is waterproof too ensuring durability and easy, convenient cleaning. If you decide to buy this bed, the distributor will include a free lightweight external zipper cover in your delivery which will prove useful as a temporary cover when the denim one is in the wash.
Any dogs who suffer allergies to the synthetic fabrics common in many pet beds would be well served by the external denim cover of this bed; being 100% cotton, it is hypoallergenic. Additionally, the bed can support up to 160lbs of weight so would be perfect for your large dog (or perhaps even two of them!). The real star of the show, however, is the memory foam filling; temperature sensitive and five times denser than your normal memory foams, it offers unparalleled orthopedic support and more than justifies it's price tag. It keeps it's shape well and won’t flatten over time which is a very common problem with lower quality memory foam beds. 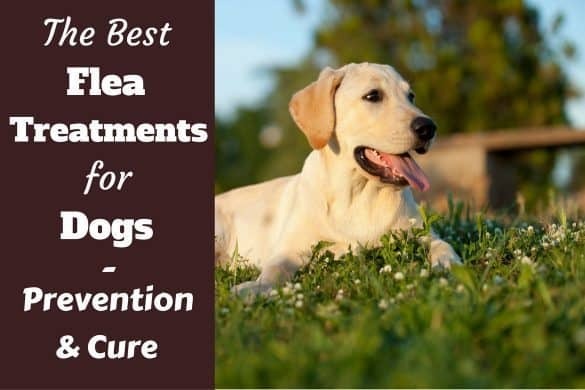 Although this may be an unnecessary luxury for a young and healthy dog, it's sure to prove invaluable for an older dog suffering joint problems or arthritis. Here we have another pet bed offering orthopedic support in addition to durability, size and convenience. It’s a little longer than K&H Pet Products’ offering and is best suited to older dogs with arthritis or joint problems who hit the scales at under 100lbs. It's certified 100% memory foam (and not an impure mix of memory and normal foam) and four inches thick so will offer strong support and comfort while holding its shape well over time. 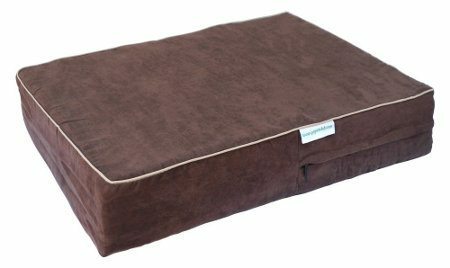 As with all good dog beds, it has a waterproof internal cover and a durable external zipper cover made of suede which are easily removed and convenient to wash. 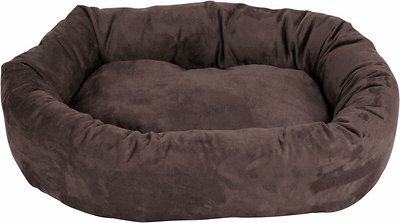 The suede and the memory foam are both hypoallergenic so this bed is a good option for a dog who suffers synthetic fabric allergies. It also has a non-slip base so won’t be pushed around by your dog, regardless of its size! This bed offers great features for a very reasonable price. In contrast to the four beds described above, American Kennel Club’s bed is shaped like a nest; ideal for large dogs who like to cuddle up against a wall and make their space their own. The walls hold up very well to pressure so there’s no need to worry about a lack of durability with this bed. The covering is a very thick fabric and is clearly able to withstand some abuse and general wear and tear; your dog won’t be able to tunnel through or rip it, regardless of how large and boisterous they are! The convenience factor of this bed is great; it has an elastic seam which makes for very easy removal when you need to take the cover off for a wash. This bed doesn’t offer orthopedic support and this fact is reflected in its lower price when compared to others in this list. If you’re used to memory foam support, you will certainly notice the padding in this bed is relatively thin in comparison. While this will be no problem for a young and healthy dog, you may need to reconsider if your pooch requires more sturdy support. Don't be put off the little Jack Russell on the bed in the pic, this bed comes in many sizes and the 52-inch is like king-size luxury for your Lab! 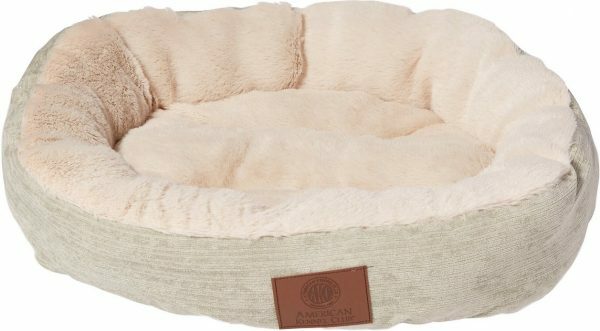 Just like with American Kennel Club’s offering above, this extra-large, bagel style bed is perfect for your big dog who likes to nest and cocoon himself as he rests. The heavy-duty base is waterproof and clearly durable while the bed as a whole is machine washable. However, it’s recommended that you wash it on a delicate cycle to avoid the stuffing becoming misshapen and lumpy. Comfort is definitely key here with this bed. Although there is no orthopedic support and so wouldn’t be suitable for arthritic dogs, the super premium high loft polyester fiber fill ensures it holds its shape well and doesn’t flatten. The suede covering is soft and fluffy, providing your dog with the comfort it needs. Wide and supporting up to 110lbs, this bed is ideal for Labs and other large breeds – even those who like to stretch out occasionally! Hopefully you now have a good idea of exactly what you’re looking for in a dog bed for your Lab or large dog. If you still can't choose between these great options, consider what will fit in with your home decor. ...particularly on hard surface floors, you really want a bed that's non-slip as well as offering the comfort and support they need. ....who may be suffering stiffness or joint pain at their advanced stage of life, orthopedic beds made from memory foam offer the greatest support and comfort, easing the pressure on their joints and bones. And of course at all times, you'll want a bed that fits into the style of your home. 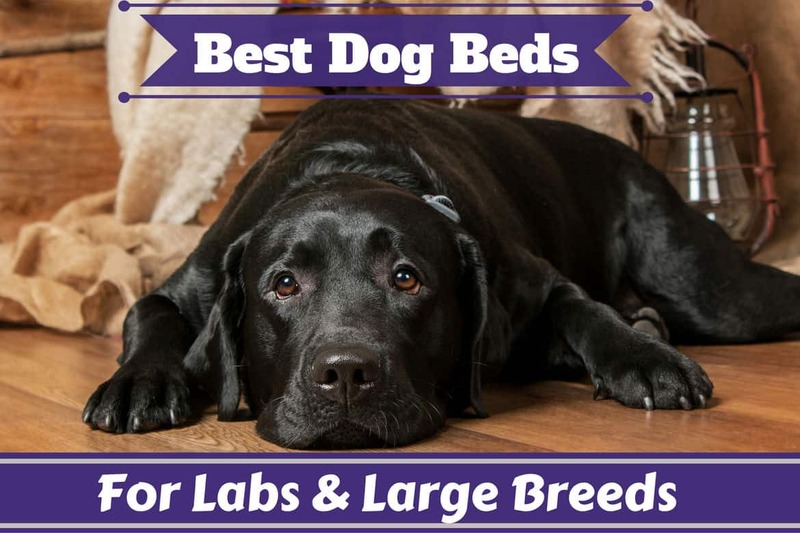 Perhaps you’ve found a contender in the six best dog beds for labs I've reviewed above and all that's left to do is to buy the bed and let your Lab do the rest? I have recently purchased a “Big Barker” dog bed for my 8 year old Black Lab. Although she does not have arthritis, I am trying to avoid future problems by offering this high quality pet bed for her comfort. 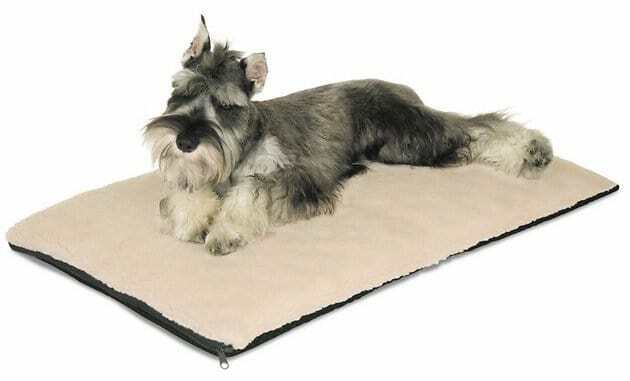 I would love to see this product listed as another recommended dog bed on your website. It’s really hard to choose what the best dog bed for large dogs is. You have to consider many things before buying one like the size. You also have to consider the durability because it’s not easy to buy a dog bed one after another. You also have to consider if the dog is comfortable to the bed. It’s a great article and it’s very helpful. What bed would you recommend for dogs that shed? Urgently require skin guidance as my Labrador is having a very serious skin allergic problem cause discomfort for my doggy. my three Labrador doggies are not have season regularly , i.e. they are having season once a year or may be once in two years. 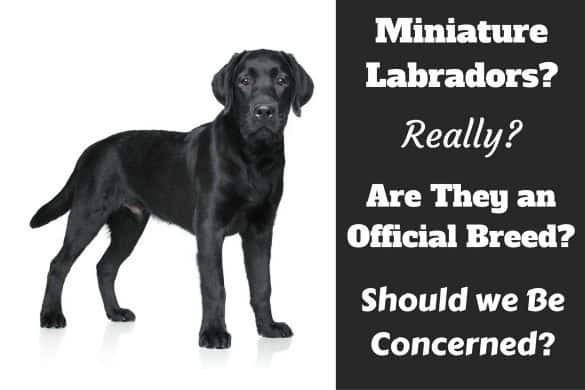 please guidance and advice me for the well being of my Labrador children.